Small and midsize FIs have unique AML requirements, pain points, and needs. Boston, August 13, 2014 – All financial institutions' anti-money laundering executives are challenged with steadily growing workloads, increasing regulatory pressure, and budgetary constraints that force them to do more with less. The day-to-day reality of AML compliance for small and midsize U.S. FIs, however, is very different than that of their larger brethren. From their regulators' focus to their need for AML technology, small and midsize financial institutions have specific concerns and must partner with vendors that provide distinct technologies and services. 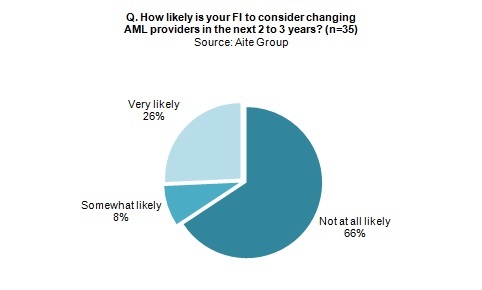 This Aite Group Impact Note is based on a survey of 40 AML executives from U.S. FIs with less than US$45 billion in assets; it details small to midsize U.S. financial institutions' points of pain and charts their current and planned solutions. This 25-page Impact Note contains 16 figures and three tables. Clients of Aite Group's Wholesale Banking & Payments or Retail Banking & Payments services can download this report.